After years of swearing off liquid liner (my hands aren't exactly dexterous), I've finally had enough. I, too, want to master the feminine flick for a night out—no mess-ups, no annoying smudges, and certainly no terrible back-and-forth to even out each eye (that almost always ends in disaster). The perfect liquid line was within my sight, and I wasn't going to back down now. So, I gathered my thoughts and set out a game plan. First on the list was to email my favorite makeup artists whose opinions I always trust. I sent them a few questions about which liquid liner they loved and exactly why it ruled. Then, my fellow Byrdie editors. And finally, after acquiring as much know-how and general support as I could, I had to try the products and record results. 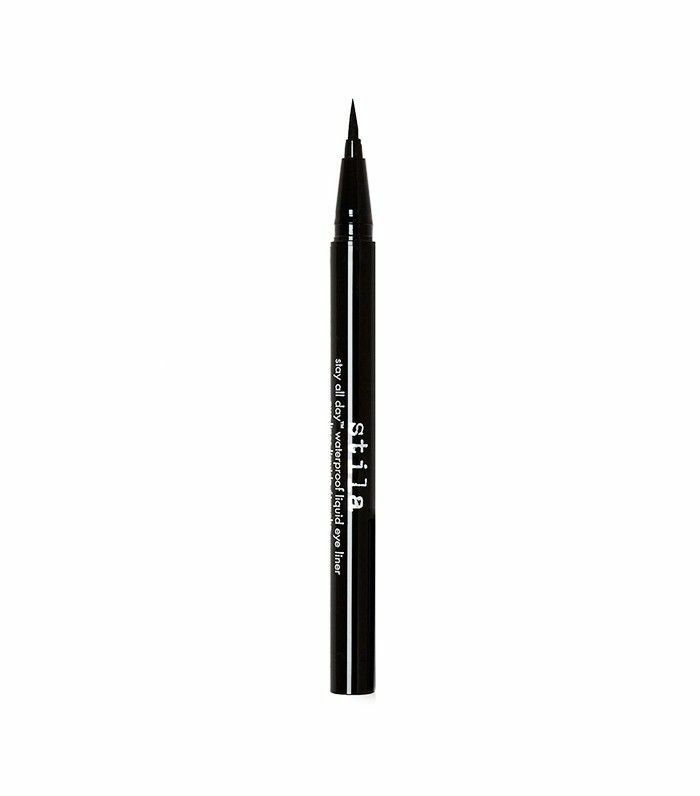 "I prefer a marker tool for liquid eyeliner as it gives me more control over the line. You can use the pointed tip to draw from the outside of the eye inward toward the lash line for an easy kitten flick—use the natural triangle shape of the marker tip to help you. I love how [saturated] the color payoff is, and the Cocoa shade is really beautiful for mixing it up. The packaging feels similar to a nice calligraphy pen, and I happen to prefer a thicker pen when I'm writing. A smaller pen feels dainty, and a thicker pen feels more weighted in my hand. I feel like I'm more in control of the movement of the pen. "I find the liners with the small brush tips are difficult to control—if you put too much pressure on the pen while applying, it completely throws off the shape of the line. And, FYI: It's important to remember to treat your liquid liners like your mascara—don't let them get too old. When that happens you'll find that the application goes on dry and may flake off after application." "I prefer a marker tool for liquid eyeliner as it gives me more control over the line. You can use the pointed tip to draw from the outside of the eye inward toward the lash line for an easy kitten flick—use the natural triangle shape of the marker tip to help you. I love how [saturated] the color payoff is, and the Cocoa shade is really beautiful for mixing it up. The packaging feels similar to a nice calligraphy pen, and I happen to prefer a thicker pen when I'm writing. A smaller pen feels dainty, and a thicker pen feels more weighted in my hand. I feel like I'm more in control of the movement of the pen. "The pen form makes it super user-friendly! It also has a very fine point to really get that razor-sharp taper everyone wants to achieve on their own. 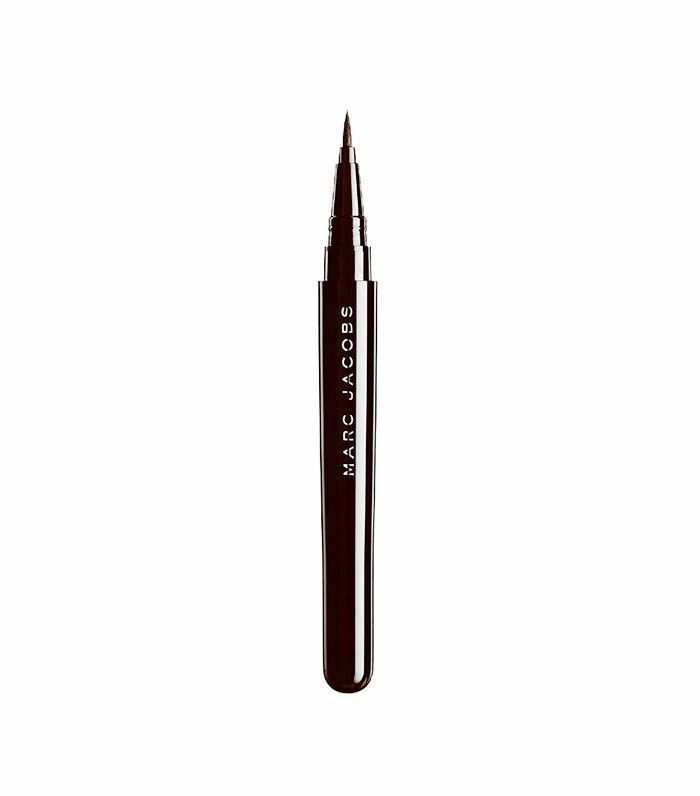 It has an intensely dark pigment but is still waterproof and smudge-proof. It really does 'stay all day.' The design of the felt tip is long enough to help create a quick smooth line but short enough to still maintain shape and control. "[With other liners,] the tip of the applicator has been too flimsy or too firm in the past. I have also had trouble with the liner transferring onto the upper lid. But the formula of this product is quite flexible, so it moves with the skin on the lids and does not crack." "If there's one makeup product I consider myself an expert on, it's eyeliner—I've been wearing it every day since I was 13, after all. I've dabbled in many liquid, gel, and pencil formulas and have found that felt-tipped liquid liners are the easiest to use. 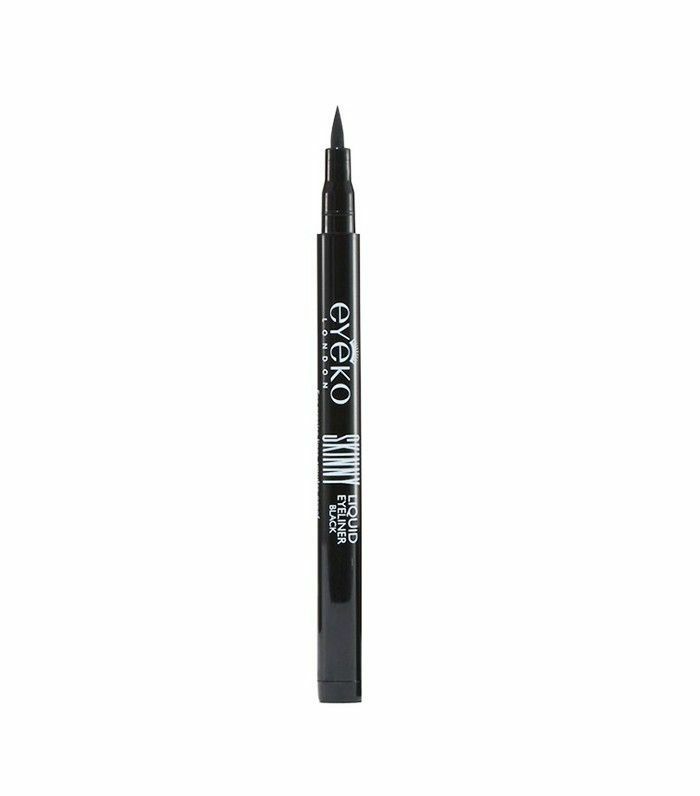 Eyeko's Skinny Liquid Liner ($18) is my all-time favorite because it disperses just the right amount of pigment with each stroke, is easy to apply, and doesn't dry out after just a few uses. You can use it to create the thinnest, barely discernable flick, or build and layer for a fat look-at-me cat-eye. Suffice it to say, I'm quite emotionally attached and have one in my makeup bag (or in my car) at all times." After really giving it my all, I came to love Eyeko's version (thanks, Faith!) of the liquid liner classic. I like to define my eyes, but not draw a super-thick, bold line, so it's perfect for me. It's easy to get a tiny, precise line between and just above my lashes for a slightly elevated but still effortless look. Though they were all pretty great (I mean, with celebrity makeup artist recs how could they not be? ), I'm partial to the easiest possible option. No frills, just liner. What's your favorite liquid liner? Let us know in the comments below!